The main benefit of using multiple threads is the memory that is shared between them but this feature can also make problems while one thread for example smashes another thread buffer. here we set the buffer address page to read only, any try to write will toggle a SIGSEGV signal (segmentation fault). 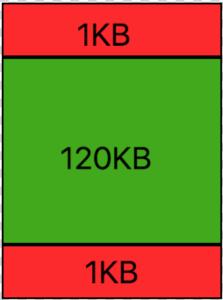 In this code we first allocate 128kb (0x20000) , then we use mprotect to set the first and the last page with no permissions and make this memory region the thread stack. Thanks for your articles, I find them very useful, keep uploading useful/interesting stuff. I hope I am not misleading you, so please verify above.